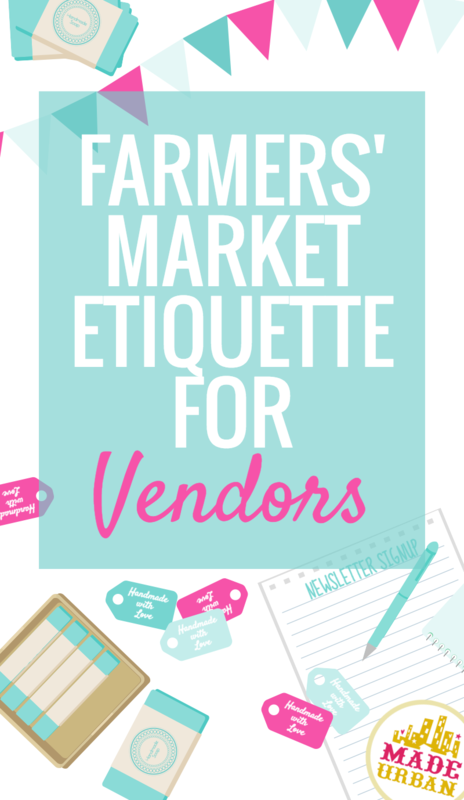 General craft show etiquette should be followed for Farmers’ Markets as well to ensure you’re giving the shopper a great experience and that you’re helping the event run smoothly for the organizer (read our article on Craft Show Etiquette here). But there are a few other courtesies to keep in mind when it comes to outdoor markets. And if you’re a shopper, be sure to follow Shopper’s Farmers’ Market Etiquette. You should understand that the markets generally run rain, snow or shine and will only shut down in the case of extreme weather. Not showing up to a market you’ve booked because it’s raining could put you on the naughty list and you may even be fined. Organizers want their markets to be full and have variety for their shoppers so if you’ve signed up for a market, be prepared to show up in bad weather; unless the organizers have cancelled the event or you’ve given sufficient notice of cancelling. 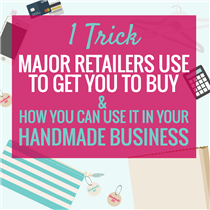 As with any other show, be on time and have your booth set up by the time shoppers arrive. Because there aren’t any doors to lock until official opening times, you must also follow the selling times of the markets. 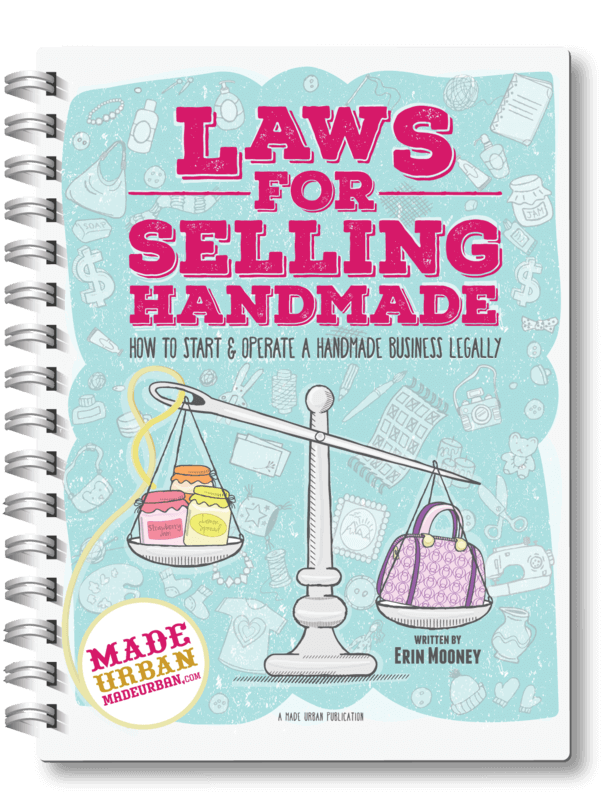 Many do not allow you to begin selling goods until the official start of the market in an attempt to keep order. If one person begins shopping 20 minutes early, soon more people will follow and shoppers will expect to be allowed to show up early. The weather may be rainy or you may have sold out but market organizers don’t want empty spaces that were previously filled. Wait for the market organizer’s okay that vendors can pack up and leave due to weather conditions. And if you’ve sold out, use it as an opportunity for brand awareness; after all, you’ve paid for the space. Have a sign ready for the awesome occasion of selling out, which states you’re all out of stock for the day and where people can find you after the market; next date you’re attending or your website/Facebook/Made Urban name. Markets will generally have rules around how much weight you need holding your tent down but even if there isn’t someone walking around and checking, make sure your tent and products will stay put in the case of some wind. Other vendors, shoppers and organizers don’t want to worry about flying objects and someone getting hurt. There is usually a lot more room for roaming when you’re at an outdoor farmers’ market as compared to an indoor craft show. But don’t let that fool you into thinking that you can take over more space. 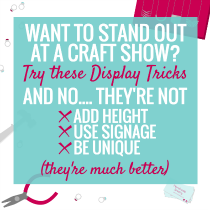 Vendors are expected to keep their products and displays within their booth space (which is usually 10 x 10). Just think how narrow the pathways would get if every vendor took an extra foot or two. If you’re applying to be a returning vendor at a Farmers’ Market, it’s always ideal to be in the same spot so customers know where to find you but realize that’s not always possible. Market organizers need to arrange vendors based on who is selling that day and how many vendors there are. If you get displaced from your usual spot, don’t get upset. Announce through your social media where shoppers can find you this week and go with the flow. There are certain regulations you need to follow when it comes to the preparation, storage and sale of food products. Market organizers do not want shoppers getting sick due to contamination or getting in trouble from the health inspector. The rules may vary depending on where you live and which market you’re participating in so be sure you have all your ducks in a row before market day. You may also be required to show proper documentation that you are indeed qualified to sell your food products and they are what they claim to be (i.e. certified organic). As well as proof of liability insurance if the market doesn’t cover that under their own insurance. Farmers’ Markets generally need to approve each item you plan on selling. This means you’re not at liberty to show up with a new line of products without the market’s approval. Adding a new style of necklace or new flavor of cookie isn’t a big deal but showing up with fruit when you’ve been approved to sell bread is a no-no. 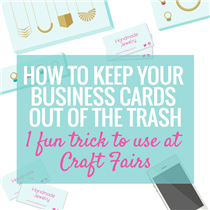 Organizers can’t supply enough garbage cans to hold every vendor’s trash so be sure you have your own garbage bags to collect any food wrappers from your products and clean as you go (a messy booth isn’t a good look for the market or your business). When the market is all done, the space goes back to being public streets and sidewalks and if they’re not clean, organizers could be fined by the city. So be sure you leave your space squeaky clean, just as you found it. I really appreciated this blog. I do a lot of farmer”s markets and this information is very helpful.